To be sure, the “good reason” law leaves each D.C. resident some remote chance of one day carrying in self-defense, but that isn’t the question. The Second Amendment doesn’t secure a right to have some chance at self-defense.… At a minimum the Amendment’s core must protect carrying given the risks and needs typical of law-abiding citizens. [But] that is a right that most D.C. residents can never exercise, by the law’s very design. [First] The District of Columbia is unique. Unlike any state, it is entirely urban and densely populated. Unlike any city, it is filled with thousands of high-ranking federal officials and international diplomats, and it hosts hundreds of heavily attended events each year, including political marches and protests…. [Second] The majority misinterprets the Supreme Court’s decision in District of Columbia v. Heller … which holds that, because the Second Amendment codified a pre-existing right, the scope of the right it protects can only be determined by examining the right as it existed at the time of the amendment’s ratification…. [And third] After a district judge invalidated the District’s long-standing prohibition on public carrying [in 2014], the Council enacted legislation to authorize the issuance of pubic-carry licenses if, among other things, the applicant has “good reason to fear injury to his or her person or property or has any other proper reason for carrying a pistol…. [The Washington D.C. City Coucil members] have no intention of complying with any court decision that supports the right to keep and bear arms. It took the Heller decision to force them to allow a gun in your home for self-defense. It took the Palmer decision, another SAF case, to force them to repeal their total ban on carry, and now they are kicking and screaming about losing the [3-judge panel’s] decision…. Municipal stubbornness cannot be allowed to outweigh the Constitution. A civil right should not be subject to bureaucratic neurosis. The full appeals court is presided over by none other than Chief Judge Merrick Garland, President Obama’s pick for the Supreme Court. Therefore it’s all but certain that Racine’s petition will be granted, the case will be reheard and rehashed and then the full court will overturn the three-judge panel’s ruling. 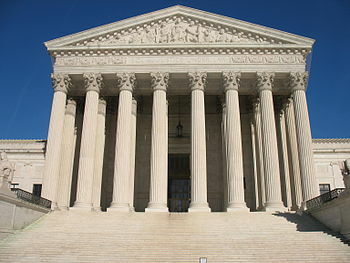 That will be followed by an appeal by the SAF to the Supreme Court, giving that body another opportunity to clarify and confirm both Heller and McDonald, hopefully putting the matter to rest and finally allowing Washington, D.C.’s residents the opportunity to enjoy complete citizenship rights. This entry was posted	on Monday, August 28th, 2017 at 1:10 pm	and is filed under Politics, Second Amendment. You can follow any responses to this entry through the RSS 2.0 feed. You can leave a response, or trackback from your own site.